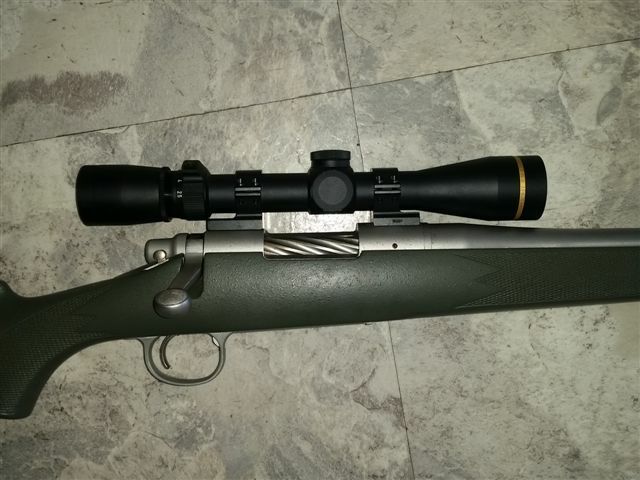 Hey guys, looking at a leupold vx3i 2.5-8x36 B&C reticle, any one got one and got any input, I wanted cds but for atleast another $150 and mucking around with the custom shop it didn't seam worth it. I have been thinking about the 3.5-10 cds but like to keep the rifle light and trim and I like the low power of 2.5x. Does any one know what power settings the triangles are at, I am assuming big triangle is at 8x not sure what the small one is at. And are the turrets under the caps marked with gradient lines and or numbers or just up and down? If some one had a pic that would be super helpful. They're nice little scopes, I had one & sold it to Dorkus a few months back. Was a B&C and I had a cds fitted. Big Triangle 300yard 6.88" / 2.19moa. 400y 20.11 / 4.8moa. Small triangle 300yard 8.61" / 2.74moa. 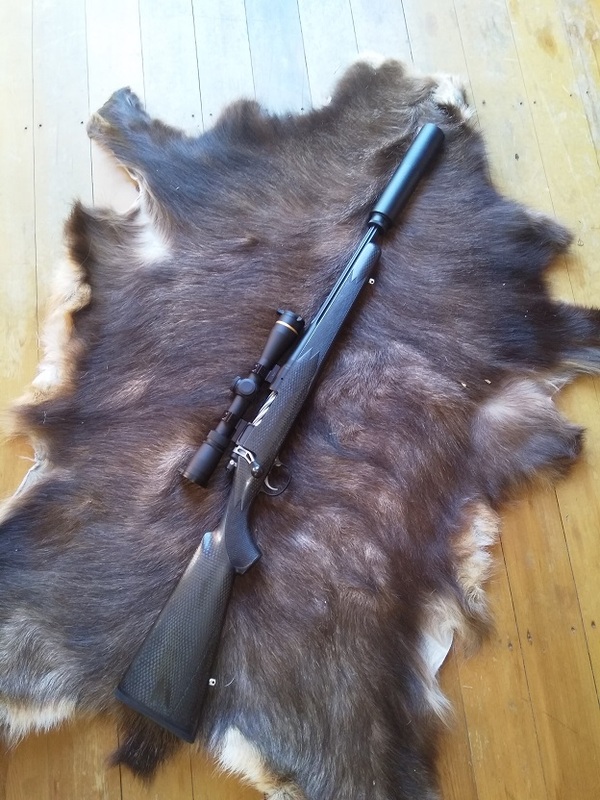 400y 25.11" / 6.0moa. It's a pity they don't do a cds model anymore but if I was you, just get a standard plex & get you local shop to sort with NZ Asia to have a cds fitted before receiving it. Looks like the B&C option in that scope has been discontinued - so if you're looking for one it probably pays to act fast. I have the standard duplex 2.5-8x36, happy to post a turret picture if you want. I assume the turret graduations are the same. 7mmsaum, rusl, Ground Control and 1 others like this. I have two of them and swear by them. Look up Hunting and Outdoor Supplies. Vx3i 2.5-8 * 36 b&c. $980. The best way to zero these b&c reticles is to zero using your own load on whichever triangle Leupold recomnended for your load category using the scope mag on that triangle and the 300yd crosshair. You will br ad near as dammit for all other ranges out to 550 on the same triangle and range graticles. I have 2 of the scopes with the standard duplex model and got both of them fitted with CDS elevation turrets through Leupold USA and never looked back. All scopes are zeroed at 100 mtrs and with a few clicks their zeroed at 200 and then 300 mtrs rather than figuring out with hash mark for which power setting for which range but it's what ever works best for you that counts. If you do want CDS turrets just send it directly to Leupold custom shop, don't wait for the NZ agent as they tend to wait for a build up of scopes before shipping them out and DO NOT got through the Leupold custom shop in Australia as we sent one over to hem for CDS turret and it cost over NZ$200 all up and we needed to apply for an export permit to get it out of Australia! Hi, when did you send the last one away to the USA? I got the leupold custom shop this morning and they said to go through NZ Asia. Also I have asked if they could retrofit target turrrets on the older fixed power scope. and it seems they can only do it on the ones where the serial number finish with a letter. Did a quick search, you can see the triangle positions in the photo posted here. This is for a VX3 and not VX3i, but I dont see why it would be different. 30ARX with a VX3i 2.5 -8 x 36 on top, grouse little rifle & scope combo. Brads & I were hitting the 300 gong just using holdover shooting off our knees yesterday. Have been thinking about what to do with this thing tonight, but have decided to stick with it as it is, Sometimes the basic simple things just seem to work so well. Seventenths, BRADS, Woody and 1 others like this. We sent a mates one to Australia in May, 2018 and due to the price and hassle getting it back I'D NEVER DO OR RECOMMEND DOING THAT!! !